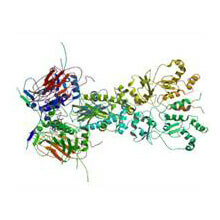 Hsp60 chaperonopathies are inherited or acquired pathological conditions in which Hsp60 plays an etiologic-pathogenic role. Considering mechanisms and levels of activity and concentration, chaperonopathies can be subgrouped into by defect, excess or mistake 324. For instance, genetic Hsp60 chaperonopathies by defect comprise hereditary spastic paraplegia SPG13 325 as well as MitCHAP-60 disease, an autosomal-recessive neurodegenerative disorder 326. On the other hand, acquired Hsp60 chaperonopathies cover numerous chronic inflammatory and autoreactive conditions as well as cancers (for a review see Pockley et al., 2014 327, and Cappello et al., 2014 49). Extracellular HSP60s are considered as molecules with immunomodulatory functions 4, 5, either as cross-presenters of immunogenic peptides via MHC antigens 328, 329 or in a peptide-free version as stimulators of innate immune responses 330 or as chaperokines 231. In this context, Hsp60 has been found to activate mononuclear cells via binding to CD14 and activation of p38MAPK leading to the production of pro-inflammatory mediators including TNF, NO, IL-1, IL-6, IL-12 and IL-15 promoting Th1 type responses 228, 240, 241. HSP60s have also been reported to stimulate antigen-dependent T cell activation and production of pro-inflammatory IFN-γ 237, 238, and T cell adhesion to fibronectin via TLR-2 239. Because of its ability to either bind to TLR-2 or TLR-4 on T cells, Hsp60 controls adaptive and innate immune responses at the level of immune cells 331. Osterloh and co-workers found out that Hsp60 binds specifically to human and mouse neutrophilic granulocytes and enhance the release of reactive oxygen species (ROS) as well as of myeloperoxidase and β-glucoronidase from granules activity thereby modulating antimicrobial effector functions of neutrophil granulocytes 332. In 1992, an autoimmune reaction against Hsp60 was hypothesized as “autoimmune concept of atherosclerosis” 333. This concept is based on the well-proven fact that all healthy human beings develop protective immunity against microbial Hsp60 as well as bona fide physiological autoimmunity against biochemically modified autologous Hsp60 produced by and released from stressed and/or disintegrated cells. The central event is represented by an Hsp60-induced inflammatory process which initiates atherosclerosis culminating in the formation of foam cells 334. All classical atherosclerosis risk factors have been found to act as endothelial cell (ECs) stressors leading to the simultaneous surface expression of Hsp60 and adhesion molecules such as ICAM-1, ELAM-1, and VCAM-1 followed by the attachment of Hsp60-specific T cells to ECs 334. In juvenile idiopathic arthritis, serum levels of Hsp60 have been shown to correlate with time required for remission from flare-ups 335. Evidence has accumulated demonstrating an association of inflammation with ulcerative colitis (UC). Tomasello and colleagues identified elevated levels of Hsp60 in mucosal macrophages of UC patients directly correlating with degree of pathology and response to treatment 336. Studies by the same group revealed an upregulated Hsp60 expression in neutrophils of patients with chronic obstructive pulmonary disease (COPD) as well as a correlation of the number of Hsp60-positive cells and the number of neutrophils in COPD patients 278. These findings highlight the central role of Hsp60 in bronchial inflammation. Further examples of chronic inflammatory conditions in which Hsp60 functions as a stimulator of inflammation comprise periodontitis, type 1 diabetes, cardiovascular diseases, and psoriasis (reviewed by Pockley et al., 2014 327, and Cappello et al., 2014 49). In this regard, patients with type 1 diabetes harbor increased Hsp60 levels 337, 338 and show delayed disease progression after treatment with the Hsp60-derived peptide p277 339, 340. Of note is the observation of an association between higher mean plasma levels of Hsp60 in subjects with clinically manifest cardiovascular disease and those with a history of myocardial infarction 337. It is worth mentioning that also patients with type 2 diabetes have increased levels of Hsp60 in their circulation 337, 341. In obese individuals, Hsp60 plasma concentrations were upregulated and correlated with body mass index and insulin resistance 342. Pilot studies of patients with periodontitis demonstrated intermediate plasma levels of Hsp60 compared to controls in a larger proportion of patients with periodontal disease indicating atherogenic dyslipidemia and elevated circulating Hsp60 are linked and associated to periodontal pathology 343, 344. This pathological situation is also characterized by lower plasma levels of the co-chaperonin Hsp10 in periodontal disease that increases after treatment 343. Plasma Hsp10 levels after therapy have been found to correlate with markers of periodontal clinical improvement. Circulating Hsp60 and Hsp10 have been associated with pro- and anti-inflammatory activity, respectively. With respect to infections, plasma Hsp60 levels have been found as being elevated in HIV-infected patients 345. Anti-retroviral therapy led to a reduction in circulating Hsp60 levels above those of the uninfected controls. Moreover, Hsp60 levels correlated significantly with viral load, CD4 counts, and circulating soluble CD14 and lipopolysaccharide levels 345. Cell surface ATPase has recently been identified as endogenous receptor for Hsp60 on endothelial cells protecting ATPase from degradation 346. The study established the presence of anti-ATP synthase antibodies at higher frequency in patients with primary vasculitides. In addition, soluble Hsp60 has been characterized to abrogate the anti-ATP synthase-induced downregulation of the intracellular pH thus indicating, on the one hand, the ability of Hsp60 to control EC homeostasis and, on the other hand, the pathogenic role of anti-ATP synthase antibodies in the pathogenesis of vasculatides 346. As already mentioned, circulating Hsp60 levels are critically implicated in the pathogenesis of cardiovascular diseases. A recent study clearly demonstrated that serum Hsp60 together with anti-Hsp70 concentrations increased with accumulating features of the metabolic syndrome in postmenopausal women suggesting a greater immune activation associated with cardiovascular risk in postmenopausal women in this pathological situation 347. A model of ischemia-induced myocardiocyte injury provided evidence for an elevated myocardial Hsp60 expression in response to ischemia 195. The analysis of coronary eluate revealed release of Hsp60 from myocardium indicative for the release of this chaperonin into the circulation after myocardial infarction 195. It is interesting to note that endothelium-dependent vasodilator function is impaired in teenagers with detectable plasma Hsp60 levels 348. Based on these findings, circulating Hsp60 or factors stimulating its expression and release can be considered as a novel determinant of endothelial dysfunction and early vascular injury. Data raised by the group of A. Graham Pockley and others further highlight the impact of circulating Hsp60 in the pathogenesis of cardiovascular diseases. As demonstrated herein, patients with renal and peripheral vascular disease and individuals with borderline hypertension harbored increased serum Hsp60 levels 186, 188, 349. Furthermore, individuals with hypertension showed serum Hsp60 concentrations comparable to those of normotensive controls 184. The role of Hsp90 in pre-eclampsia (PE), a multisystem disorder with profound implications on both mother and fetus, remains a matter of debate. While pregnancy-related complications always induce upregulation of Hsp70 and downregulation of Hsp90 in maternal whole peripheral blood, an increase of HSP60 mRNA levels has been found in patients with pre-eclampsia and/or fetal growth restriction. Peak levels of HSP60 mRNA obviously occur in pregnancies with signs of the centralization of the fetal circulation associated with fetal hypoxia 350. On the other hand, a differential proteomic analysis of highly purified placental cytotrophoblasts yielded a decreased Hsp60 protein expression in pre-eclampsia 351. Downregulation of Hsp60 was accompanied by a decrease of numerous proteins including glutathione S-transferase, peroxiredoxin 6, and aldose reductase indicative for a state of oxidative stress in the pre-eclamptic placenta and a failure to respond to oxidative stress 351. The function of mitochondrial Hsp60 in conjunction with its co-chaperonin Hsp10 in folding of polypeptides is well established. Aberrant folding thus leads to a variety of severe neurodegenerative disorders including Alzheimer’ and Parkinson’s disease, familiar amyloidotic polyneuropathy and bovine spongiform encephalopathy as well as Jacob-Creutzfeldt disease 352, 353. Finally, a deficiency in Hsp60 has recently been identified as being associated with atypical mitochondrial diseases in conjunction with multisystem failure 354. Hsp60 interacts with many factors involved in programmed cell death and cell cycle regulation 355. Modulation of these factors by Hsp60 is critically implicated in the pathogenesis of several diseases including cancer. 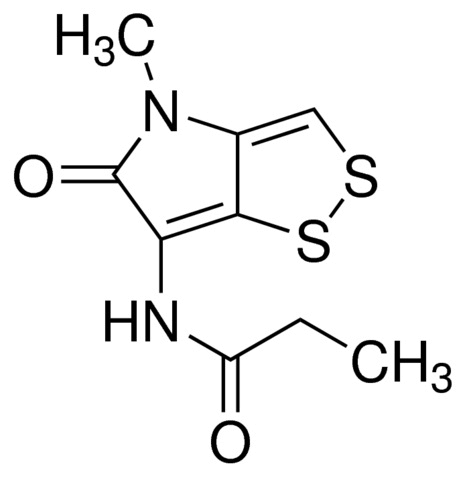 However, Hsp60 has an ambivalent role during carcinogenesis 356. Numerous studies by the group of Francesco Cappello and Alberto Macario unveiled a gradually increase of human Hsp60 during any step in carcinogenesis in various organs including large bowel 297, 357, 358, prostate 359, and uterine cervix 360. Hsp60 upregulation in tumor cells has been linked to the ability to survive apoptotic stimuli, loss of replicative senescence, uncontrolled proliferation and neoplastic transformation 219, 220. In contrast, decreased Hsp60 levels have been found in airways 361,362, bladder 363, and tongue 364. A comprehensive list of tumors in which the Hsp60 levels were studied has been compiled by Cappello et al. (2008) 220. Some of them will be highlighted in the following paragraphs. 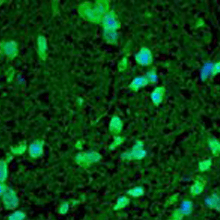 Increased levels of Hsp60 have been detected in tumors of the reproductive system. Upregulated Hsp60 expression could be found not only in low- and high-grade prostatic intraepithelial lesions indicative for prostatic tumorigenesis 359, but also in pre-neoplastic and neoplastic lesions of the cervix where they correlated with the tumor grade 360, 368. In ovarian cancer, high-level expression of Hsp60 predicts poor survival in patients undergoing chemotherapy 369. In contrast, immunohistochemical detection of Hsp60 in human epithelial ovarian carcinoma revealed that it is significantly more frequent in patients with initial stages of the disease thus correlating with a better prognosis 370. A similar observation was made in a more recent prospective study on patients undergoing primary surgery for suspected advanced ovarian cancer. Herein, high Hsp60 protein expression was found as being associated with shorter overall survival, and Hsp60’s impact on overall survival was stronger in the subgroup of grade 3 serous tumors 371. 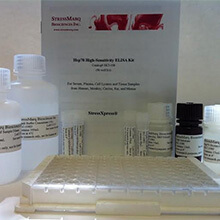 Notably, serum analysis of patients with ovarian carcinoma led to the identification of increased anti-Hsp60 and anti-mycobacterial Hsp65 antibodies in early clinical stages of the disease rendering anti-Hsp60/Hsp65 antibodies as being a suitable diagnostic marker 372. 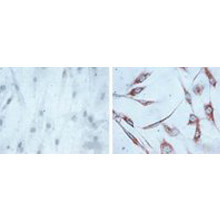 The ambivalent nature of Hsp60 is also apparent in breast cancer. Upregulated Hsp60 presence could be found in human breast ductal carcinomas as compared to normal breast tissues 373. These findings have been confirmed partly in a more recent study in which tissue microarray analysis led to the identification of Hsp60 in 53% of breast carcinomas investigated 374. However, Hsp60 positivity did not correlate with prognosis in the cohort. Comparative proteomic analysis using 2-D electrophoresis and normal phase liquid chromatography (LC) with ion trap mass spectroscopy (LC-IT-MS) did not reveal a significant association betweenHsp60 expression and tumor size, estrogen/progesterone receptor, and Her-2/neu status 375. Her-2/neu is a valuable prognostic marker in primary breast carcinoma, the gene being amplified and overexpressed in 20 to 25% of breast tumors. Tumors showing Her-2/neu amplification are characterized by a loss of estrogen receptor expression and are of ductal invasive type 376. In the last decade, exposure to Chlamydia trachomatis has been consistently associated with the development of cervical and ovarian cancer 377. It was hypothesized that the accumulation of exogenous chlamydial Hsp60 in the cytoplasm of actively replicating eukaryotic cells may interfere with the regulation of the apoptotic pathway by blocking cleavage of pro-caspase 3, hydrolysis of poly(ADP-ribose) polymerase, and release of cytochrome c 377. Together, the above data reveal the ambiguous role of Hsp60 in tumorigenesis as Hsp60 elicits both, pro-survival and pro-apoptotic functions in tumors. Therefore, Hsp60 has been perceived as a molecular “Proteus” for carcinogenesis 9, 222.